My kids went back to school this week. I’m a little on-the-fence about it. On one hand, they’ve really been bickering and a little bored for the past week, so it’s good. On the other hand, we are kind of a nocturnal family, so getting everyone up, dressed and fed by 8am (730 for my middle schooler) is pretty much impossible. My kiddos are muffin monsters. 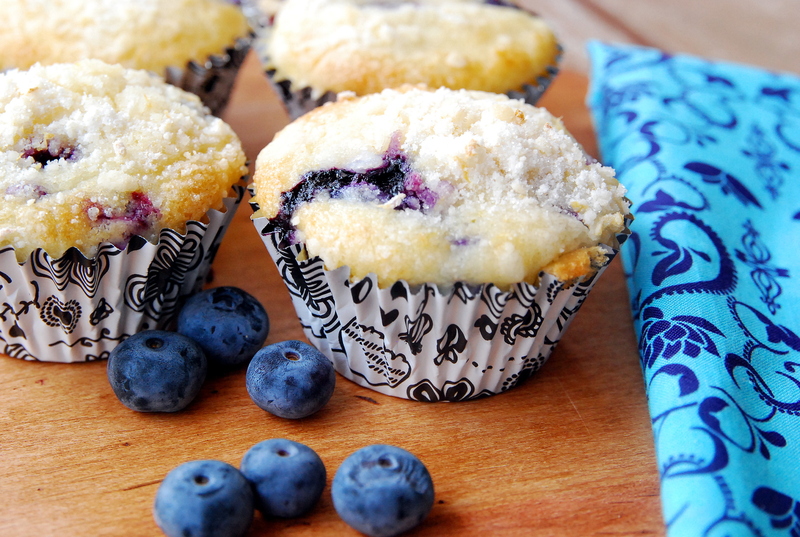 Muffins are their favorite thing to eat in the morning so we crank them out like hotcakes over here. Their absolute favorites are this pumpkin bread baked as muffins. These lemon blueberry were a close second though, and that’s what we had this morning. These are super tender thanks to the sour cream and very lemony courtesy of lemon zest, lemon juice and lemon extract. Yay lemon! These muffins are really pretty too, so I wouldn’t hesitate to make them for a brunch or baby shower. They come out looking like they’re from a bakery! Mix dry ingredients in a large bowl. Combine the sour cream, milk, oil, egg and lemon extract together. Pour the wet mixture into the dry, stir, add the lemon juice and continue to mix until the dough comes together. Fold in the blueberries. 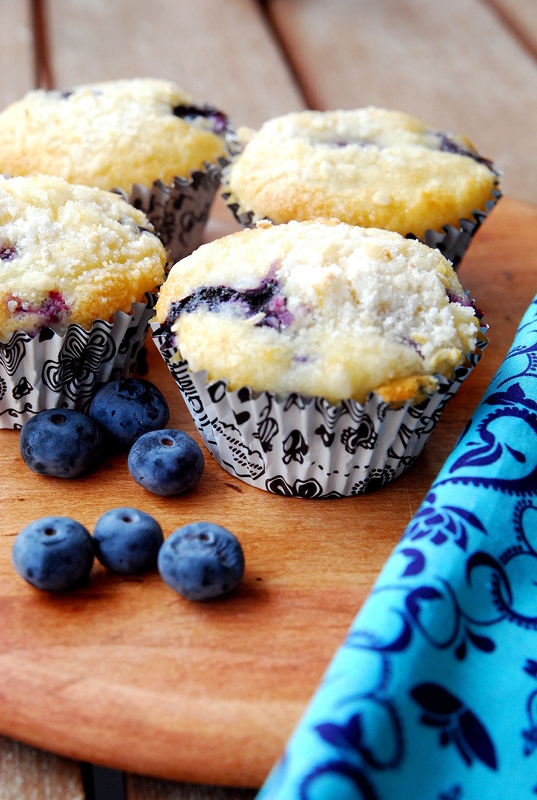 Using a 1/4 cup measure, scoop the batter into the prepared muffin tin. Sprinkle with topping and bake in preheated oven for about 20 minutes or until centers are domed and set when you jiggle the pan slightly. Muffins should be lightly golden around the edges.